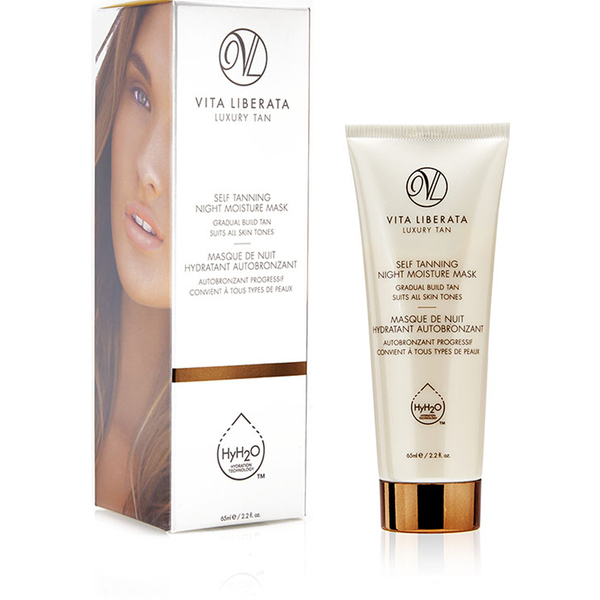 Deeply replenish dull, dehydrated skin with the Self Tanning Night Moisture Mask from Vita Liberata. Formulated with organic ingredients including sunflower seed which provides vitamin A, C and D to calm and soothe skin. Tocopherol shields skin from environmental damage to leave skin feeling supple and apple fruit extract targets fine lines and wrinkles. The rich, weightless mask has been created with HyH2O™ technology to balance skin for a youthful, visibly smoother and more refined complexion. Vita Liberata products guarantee the ultimate self tan experience to leave skin feeling comfortable, with a natural radiant glow. Smooth onto a cleansed face and neck in the evening.